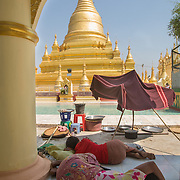 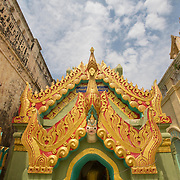 Myanmar, or Burma, is the most religious Buddhist country in terms of the proportion of monks in the population and proportion of money spent on religion. 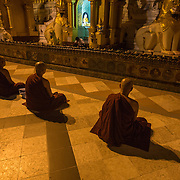 Theravada Buddhism is the predominant form of the religion, practiced by 89% of the population. 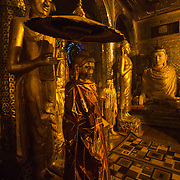 The history of Buddhism in Burma probably extends more than two thousand years to the Buddha’s existence. 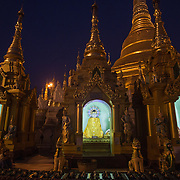 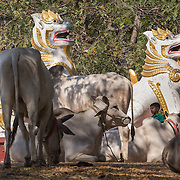 There are myriads of monuments, temples and pagodas scattered across Burma, with the most famous concentration around the ancient city of Bagan, or Pagan as it was originally known, to the southwest of Mandalay. 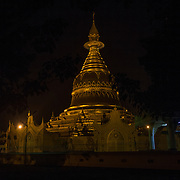 It was the capital of the Bamar culture of northern Burma where a powerful dynasty of Buddhist kings built countless Buddhist structures from the 11th to the end of the 13th centuries. 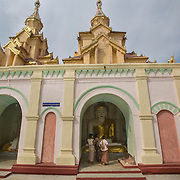 Towards the end of the 13th century Buddhism declined due to the invasion of the Mongols but it was re-established in the 14th century by the Shans of central Burma and the Mons of lower Burma. 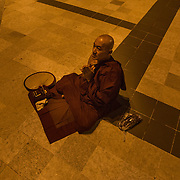 Buddhist monks are very prominent in Burma and can be seen collecting alms around the community in the early morning. 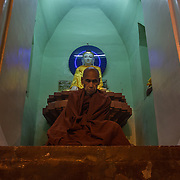 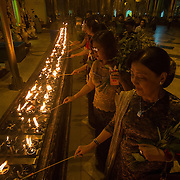 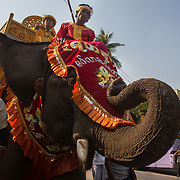 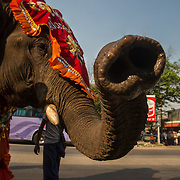 They are venerated throughout Burmese society and there are about 500,000 of them with an additional 75,000 nuns. 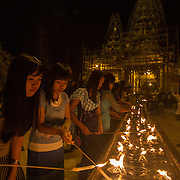 There are many Buddhist related festivals throughout the year, with many falling on the most important full moon days, especially the Vesak and Kason in April and May, and most Pagoda festivals are celebrated around the full moon of Tabaung in Feb/March. 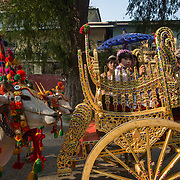 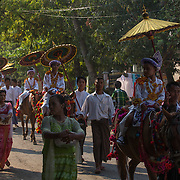 The tradition of “Shinbyu”, a special rite of passage whereby a young boy over the age of 7 enters a monastery for a short times as a novice monk, is very conspicuous with it’s colourful processions with the boys in princely attire riding decorated horses before changing into the ascetic robes of a monk following the example of the Buddha. 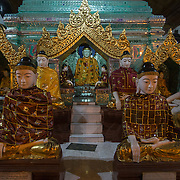 A typical home in Burma always has an alter on a shelf on which statues of the Buddha and offerings are placed. 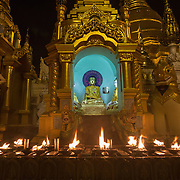 All Buddhists are required to keep the basic Five Precepts and novices the Ten Precepts.